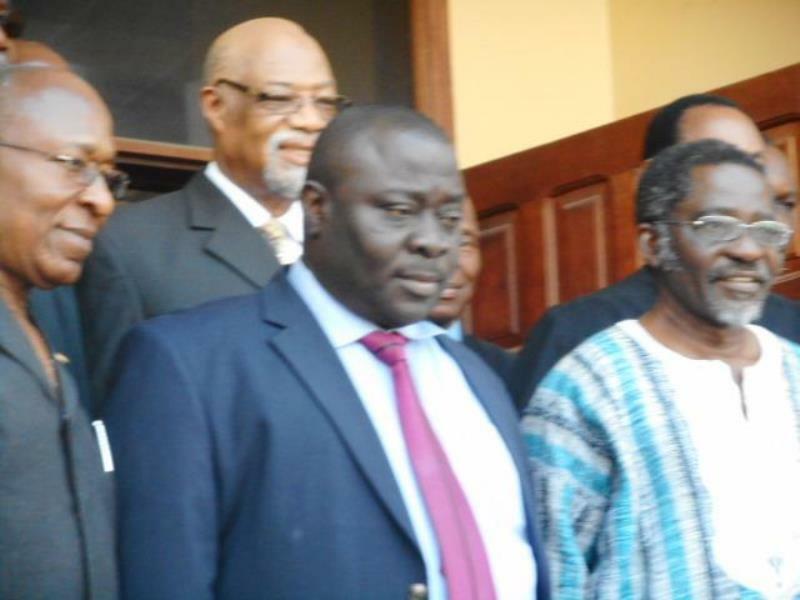 Monrovia – The retrial of the Sable Mining bribery at the Criminal Court “C” of the Temple of Justice with the prosecution counsel revealing to try Cllr. Sherman and others separately. As the trial opens at 9am local time Chief Prosecutor and Solicitor General Cllr. Daku Mulbah informed the court to delete and remove the names of the Sable Mining Company and its Chief Executive Andrew Groves out of the trial. Solicitor General Mulbah said the defendants who trial proceeded at the Supreme Court out of which the mandate to re-start the case at new (de novo) stated the mandate to start the case de novo is in keeping with law and is restrictive only as to those defendants who were on trial then. Key witnesses, Sable Mining and its Executive Andrew Groves are alleged to have offered the bribe to the former government officials, are to be excluded from the trial because according Cllr. Mulbah they have been granted separate trial by the Criminal Court “C”. The Solicitor General submission to remove the names of Sable Mining and Andrew Groves trickled a resistance from Defense Counsel Cllr. Cyril Jones who said removing the key defendants from the case at this time is a strange practice and contradiction of the very statement from the prosecution that the case is to be tried de novo (new) by that admission. “Prosecution cannot preempt the court and is estopped from raising issue relating to the previous trial, movants say that for such an application, the prosecution should file proper papers before the court setting forth its ground for the defendants to be excluded from this particular trial,” added Cllr. Jones. Cllr. Jones continued that the defense interposed no objection to the request made by the prosecution for time though it is the rule that the prosecution should be prepared at all time. In his ruling, Judge Boima Kontoe added that the request made by the prosecution for time was granted because the defense conceded. Judge Kontoe further that against this background of the court ruling, the request for 3 weeks continuance is granted with modification that the matter be proceeded with on Friday, December 28, 2018 at the hour of 9:am. The six former and current government officials and the lone businessman were put on trial when a Global Witness report accused them of allegedly receiving bribe in the amount of US$950,000 to change the Public Procurement Act in favor of the British Company Sable Mining to mine the Wologisi Mountain in Lofa County, northern Liberia. However, all of the defendants have denied the charges of economic sabotage, bribery, criminal solicitation and conspiracy meted against them by the government of former presidnet Madam Ellen Johnson Sirleaf.